Water and Peterborough have an intimate connection that dates back before the young town’s incorporation. Water-driven mills built at the current day site of Millennium Park formed the basis of both the settlement and economy in the area on the banks of the Otonabee River. In 1825, over 2,000 people in nine ships crossed the Atlantic from Ireland. Poor and with few prospects in their native country, each family, and single man was chosen by Peter Robinson, businessman, and member of the legislative assembly of Upper Canada. These Irish settlers followed Robinson to the site of contemporary Peterborough, then called Scott’s Plains. The town was renamed in Robinson’s honour. The trip to Peterborough is much easier today. Though it’s outside of the GTA, Golden Horseshoe or any built-up industrial area, it’s a modern and full-featured city. Situated south of the Kawartha Highlands, the city serves as a gateway to parts of Eastern Ontario’s cottage country. Due to its rather isolated location for a city of about 80,000, car ownership is common for its citizens. The table below shows Peterborough car insurance cost for a sample driver. We surveyed the car insurance prices in the city of Peterborough for the purpose of illustrating the range in quotes based on driving record, location, and other criteria. To get a customized quote, enter your postal code above. Ontario’s car insurance market bases on private providers and a competitive model. While the province regulates the insurance industry, each company creates its own underwriting rules. Because of this, drivers may find rates vary largely, depending on which company quotes on their policy. All policies start with mandatory coverage, required for all vehicles in the province. This minimum policy has options and extensions added to suit individual needs. 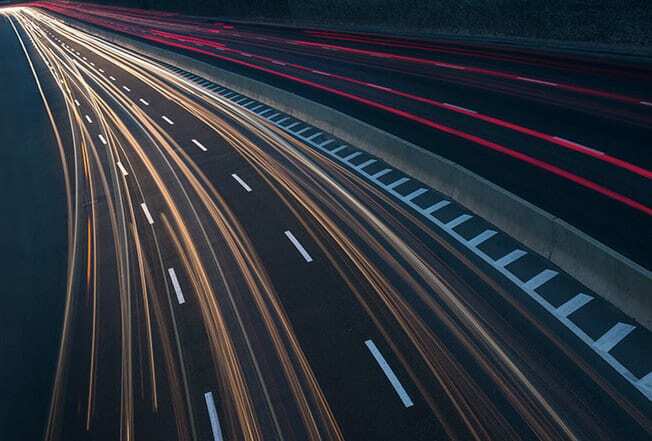 Commonly, motorists add additional third party liability coverage, since the provincial requirement may not be enough to protect a driver in case of a lawsuit. Similarly, but less frequently, drivers add additional coverage to statutory accident benefits. This portion pays for medical treatment and rehabilitation costs not covered by the provincial health plan. Subject to revisions that took effect in June 2016, look for accident benefit top ups rising in popularity. Optional auto insurance coverage most frequently takes the form of collision and comprehensive policy endorsements. These remove the burden of paying for damage or loss to the vehicle because of an insurable incident. The driver pays only the deductible portion of costs and the insurance company pays the rest. A motorist adjusts the cost of the policy by adjusting the amount of the deductible. Lower deductibles mean higher insurance rates, while higher deductibles lower costs. Additional options add protection for specific conditions, such as extending car insurance to rented vehicles. While these add cost to a policy, insurers often bundle popular options together in a reduced rate package. Drivers may also qualify for discounts that reduce overall insurance costs. Highway 115 connects Peterborough to the 401 east of the GTA. Meeting up and running concurrently with Highway 7 from just west of the Peterborough Airport, 115 ends at Lansdowne Street east of the city. Highway 7 continues east as Lansdowne. Lansdowne Street carries the Trans-Canada Highway designation through Peterborough. Lansdowne, Sherbrooke Street and Parkhill Road are the main east-west corridors. Peterborough’s streets don’t follow a rigid grid system. Monaghan Road, Park Street and George Street offer north-south access to downtown north of Lansdowne. Only Monaghan is a major route south of Lansdowne. The Parkway connects Lansdowne to 115 in western Peterborough. Vacationers’ traffic can cause congestion at bottlenecks at Television Road and 115 in the east, typically on summer weekends on Friday nights as well as Sunday afternoons. Similarly to Highway 11 in the Orillia area, 115 features sections of right-in/right-out highway accesss. Entry to and exit from the highway occurs on the right. Accessing the other lanes of the highway requires a driver to exit 115 and drive parallel until an overpass, then drive parallel in the other direction to another RIRO exit. A section of 115 close to Peterborough meet 400 Highway standards. This section could be designated Highway 415 in the future. Local website ptbo.com features road conditions generated by the Ministry of Transportation, as well as gas prices in and around the city. The MTO’s traffic report for Bancroft covers the Peterborough area as well. The Weather Network provides short term weather reports for the Peterborough area. Peterborough has a DriveTest centre at 749 Erskine Avenue, near Lansdowne Place. At least 10 service centres and garages provide DriveClean emissions testing in the city. More than 15 agents and brokers provide car insurance in Peterborough and area. Only four bridges span the Otonabee within Peterborough city limits. From north to south, these are: Nassau Mills Road, Parkhill Road, Hunter Street as well as Lansdowne Street. Highway 115 crosses the river near the city border. Four more streets cross the Trent Canal north of where it meets Otonabee River. These are Nassau Mills, Parkhill, McFarlane Street and Maria Street. Hunter Street passes under the lift lock. The Trent-Severn Waterway connects Lake Ontario with Lake Huron. The 386-kilometer long waterway uses the Otonabee River below the rapids in Peterborough. Lift Lock 21 raises and lowers water traffic at Hunter Street, at the south side of Ashburnham Memorial Park. 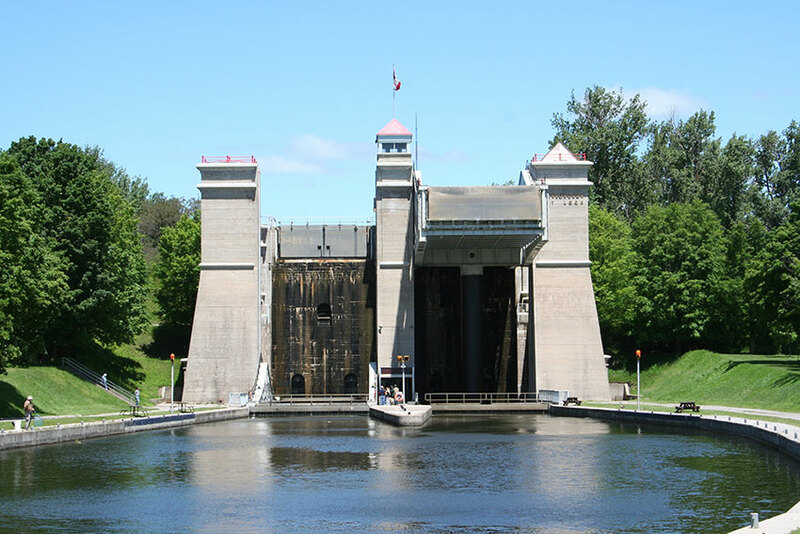 The Peterborough Lift Lock is the highest hydraulic lift lock in the world. This route, bypassing the Welland Canal, Lake Erie, the Detroit River and Lake St. Clair, would substantially save time for commercial water traffic navigating the Great Lakes. However, the increased use of trains and the limited size of boats that the Trent Severn could handle reduced the route to tourism use. There is no current passenger train service to Peterborough. Intercity transportation uses buses from GO Transit, Greyhound and Coach Canada. The Greyhound terminal is located at Simcoe and Alymer Streets. The Peterborough Airport supports business and recreational flying. No scheduled airline flights serve the city. Peterborough drivers can use Ratelab’s car insurance calculator to find the lowest cost car insurance coverage for their driving needs. Enter your home postal code to start the process. In just a few minutes, Ratelab searches dozens of industry partners to match your needs with the lowest cost quotes. Try it now and start saving today!